Give children the literacy skills they need to succeed at school and beyond. Our acclaimed Scholastic Literacy Skills series is full of easy ways to teach the essentials. The ideal English toolkit for the primary years. 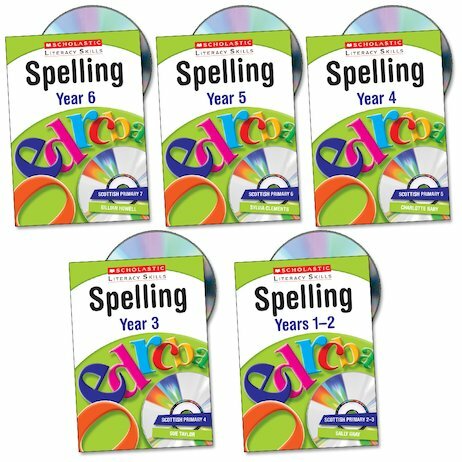 This pack contains all five spelling books in the series. The series offers everything to help you develop essential literacy basics. Contains activities that make literacy skills real and relevant to children. Opportunities for speaking and listening activities. Choose the relevant book for your class. Use the teachers’ notes to choose a relevant skill to teach your children, boost your background knowledge, find the appropriate photocopiable page and any further activity ideas. 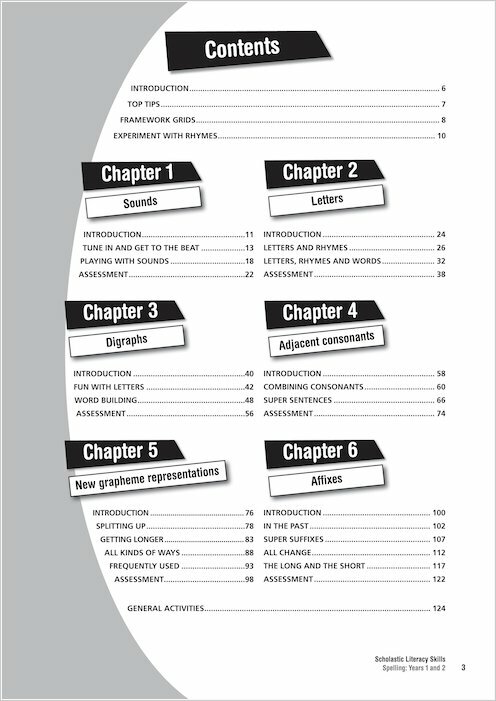 Use the CD-ROM to display the chapter’s poster, the photocopiable page (with answers, where appropriate) and, if applicable, the interactive activity. Use the interactive activities as starter or plenary activities to support work on the photocopiable sheets. You can refer to the Objectives grid to see how each activity fits the Renewed Framework. Literacy skills lend themselves perfectly to interactive practice. The activities provided on the CD-ROM are ideal for teaching literacy skills regularly and systematically. It contains purposeful activities to support 30 or more of the photocopiable pages which are found in the supporting teachers’ book. And they are designed to support starter or plenary activities. All the photocopiable pages, with answers where appropriate. Interactive activities related to 30 or more of the photocopiable pages. Full-colour posters to display on your interactive whiteboard. What are the minimum system requirements for the Scholastic Literacy Books? To run the CDs for these books you will need a PC or Mac with a 16x speed CD-ROM and 512MB RAM; P4 or G4 processor, Windows 2000/XP/Vista; Mac OSX 10.3 or later.